This is an adapted recipe from the Bon Appetit website. It’s from an upcoming sweets cookbook Yotam Ottolenghi is putting out this year. I love Ottolenghi’s recipes, and cookbooks, so this was very exciting news. The original recipe made twelve mini cakes but I went with a loaf as it seemed easier. The cake is super moist and lemon-y and sticky with the syrup glaze. The semolina and almond flours give the texture a nice coarseness. I used unblanched almond flour as it’s what I had on hand, but I’d probably suggest using blanched if possible, so the cake keeps its lovely pale yellow colour. I added the whipped yoghurt because we were eating the cake for Mother’s day and I wanted it to be a bit special. I first came across whipped yoghurt in Sabrina Ghayour’s cookbook Sirocco. She adds icing sugar but I think the cake is sweet enough, and the tart yoghurt goes perfectly, so I’ve left it plain. Feel free to add sugar, honey or equal parts heavy cream for a more decadent version. Or, if you can’t be bothered at all, serve with Greek yoghurt, labneh or whipped cream. * I used quite a thick, pot set natural yoghurt and it whipped up nicely in about 7 minutes in an electric mixer. If you have a runnier yoghurt, I would suggest straining it in cheesecloth first. Preheat your oven to 170 Celsius. Grease and line a large loaf tin. As you can see from the crease marks in my cake, I didn’t cut my paper, and as usual just scrunched it into the bottom of the tin. In a medium sized bowl, whisk together your dry ingredients – almond and semolina flours, baking powder and salt and set aside. Then in an electric mixer, beat the butter, sugar and lemon zest for five minutes until it’s really light and fluffy. Add eggs one and time, beating well between each. 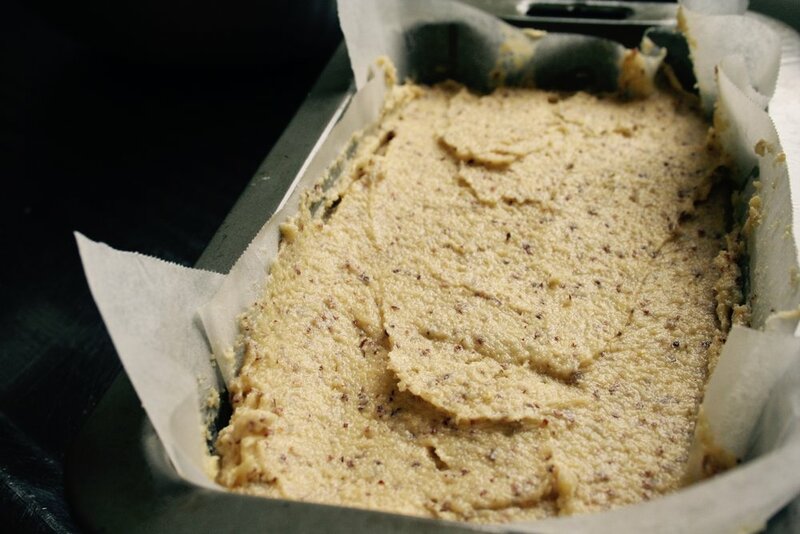 Fold through dry ingredients and lemon juice, then pour into the loaf tin and bake for 45-50 minutes until golden brown and a knife in the centre comes out clean. When the cake has 20 minutes left to bake, make the syrup. 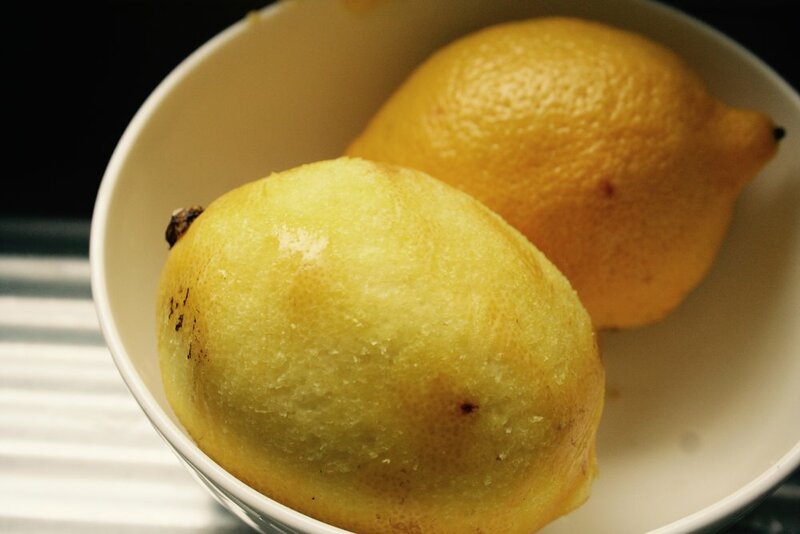 In a small pot boil lemon juice, zest and sugar over a medium heat, stirring until the sugar dissolves. Simmer for a couple of minutes and then remove from the heat. When the cake is ready, pour the syrup gently over the top and let the cake cool completely on a wire cake rack. When you’re ready to serve, make the whipped yoghurt by simply whipping your yoghurt in an electric mixer for 7-8 minutes until it’s a light, thick consistency. Turn the cake out of its tin and cut into thick, generous slices. Smother with whipped yoghurt and enjoy.